The Easter Holidays are coming! 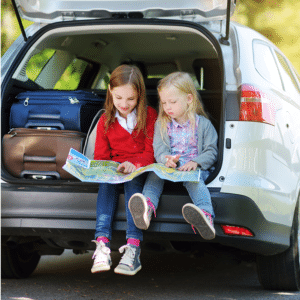 Do you know that more families travel with kids over the Easter holiday period than at Christmas? The beautiful South African autumn weather means we get to enjoy the outdoors and, even the beach, despite temperatures cooling down a bit. Take this time to observe your children in action. Play is a fantastic way to bond with them and to gauge what they are able to do and what they are good at, without putting them under any pressure. This month I have chosen to include two kinds of games and toys in my selection: Some for outdoor play in the sun and other games that are really well-packaged for travel in a car, train or plane, or are small enough to pack to play with when you get there. Enjoy the Easter holiday break! Rest and a change of pace is good for everyone. 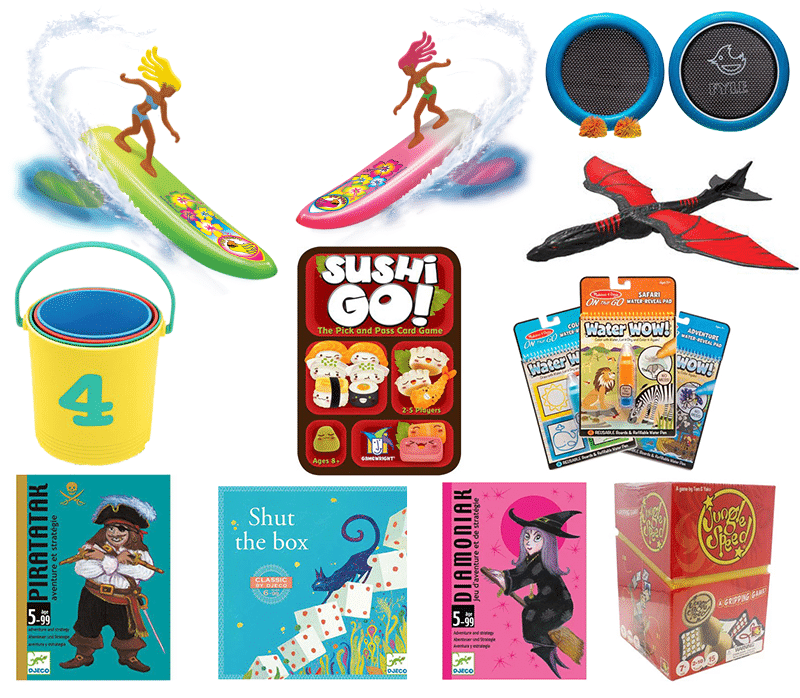 Top 10 Toys and Games for Easter Holiday Fun! 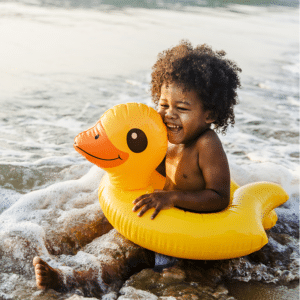 Fun toys for outdoor fun on the beach, in the pool, sandpit or garden, whether you are on a staycation or a vacation. Research tells us what we instinctively know – spending time outdoors is healthy for kids and families. View My Top Toys For Outdoor Fun! So you want to pack some games but space is tight. Here are some top ideas proving that family fun really can come in small packages. Play in the car, train, bus or plane, or while sitting in a restaurant. View My Top Travel Games!